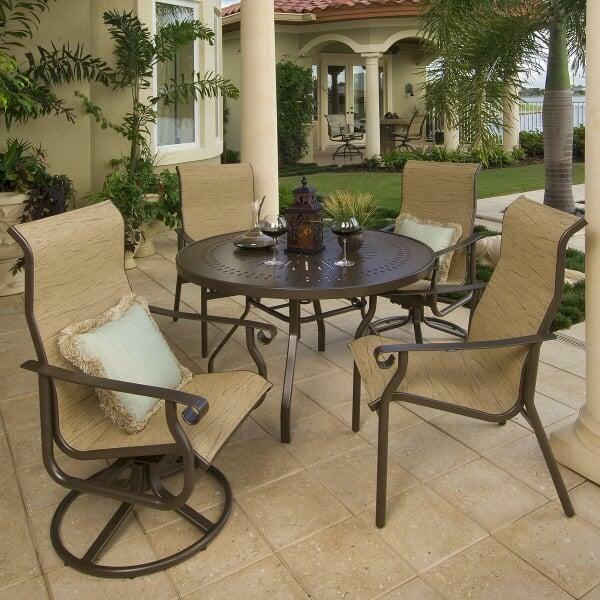 Featured Patio Set Includes: 2 High Back Dining Chairs, 2 High Back Swivel Dining Chairs and a 47" Mayan RD Dining Table. The St. Croix Sling Dining Collection by Windward Design Group has a distinctive and diverse culture which has been influenced by, at various times in history, Spain, England, France, Malta, Denmark and the United States. This collection also has a personality that is just as unique, but it is all-American, all the way. Crafted in Florida by the Windward Design Group, the St. Croix Dining Collection features all aluminum powder-coated frames with 2” wide flat arms that end in a tasteful whorl. 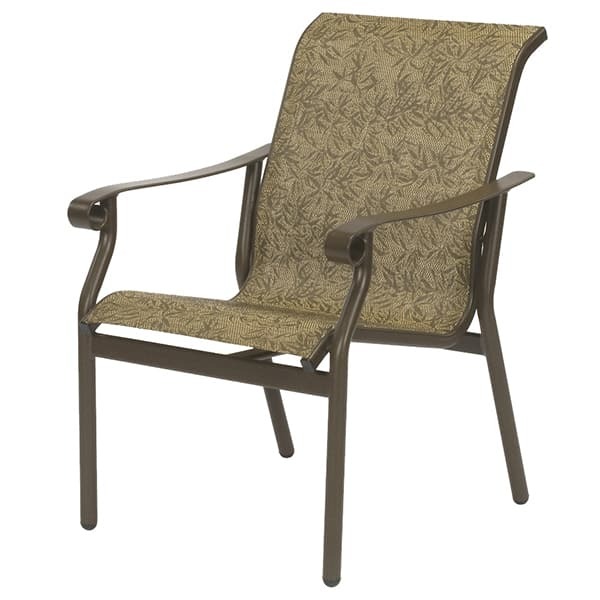 The sling seats are a great alternative to cushions; they are comfortable but quick-drying and easy to care for. Windward has over 9 beautiful finishes to choose from as well as a huge array of sling fabrics; you also have the option to upgrade your sling to a fiber-filled padded version.